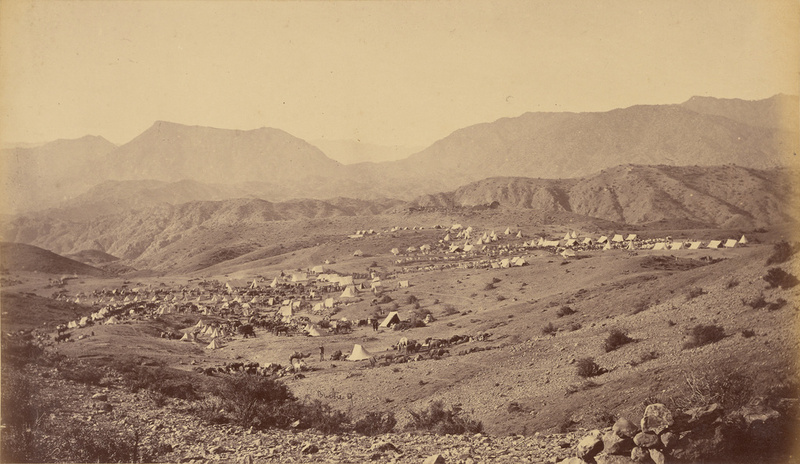 View of camp set up in a desert valley. Multiple white tents are pitched throughout the valley. Camels are tethered near the tents.